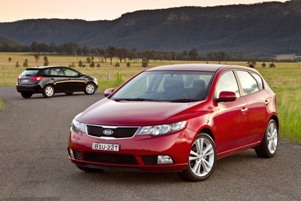 Kia Motors Australia has continued its impressive 2010 sales growth with yet another strong month in October. With 1946 vehicles sold in October, making a total of 20,142 so far this year, the refreshed model line-up is continuing to kick goals with a 25.1% month-on-month increase and 24.4% year-to-date increase over last year. Passenger vehicle sales were up for the month by 20.4% compared to October 2009 but the big increase was in the SUV segment which experienced a huge jump, up 55.6% in the monthly comparison and 69.4% when compared to the same year-to-date period last year. 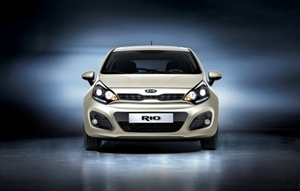 “Our line up will only continue to get stronger,” said Kia Motors Australia Chief Operating Officer Tony Barlow. “The Peter Schreyer design makes the new cars stand out visually while the torquey new-generation engines are built to perform and to meet the latest emission standards. There were a number of highlights for Kia in October, including a strong month by the Carnival people mover, with month on month sales jumping by 134.1%. The all-new Sportage compact SUV is hitting its mark with the new model outselling the old by 44.6% compared to last October. Its big brother, the Sorento also had a spectacular month with month-on-month figures up 83.3% and year to date sales up 58.4%. Next on the launch scene for Kia is the 5-door Cerato Hatchback which is landing on showroom floors throughout November. The sporty hatch is already being well received, particularly by the big car hire companies.